A new set of leaked renders have surfaced claiming to show the 4-inch iPhone 6c. Additionally, the long-rumoured handset for the first time has been purportedly spotted in live images. A report claims that the iPhone 6c may sport colour models similar to what we’ve already seen on iPod touch, while maintaining the physical design of the iPhone 6 (and iPhone 6s). 9to5mac has shared a bunch of mocked-up renders claiming to show the unannounced iPhone 6c in various colour variants. In a separate leak, Steve Hemmerstoffer of Nowhereelse.fr has shared few live images purportedly showing the iPhone 6c. 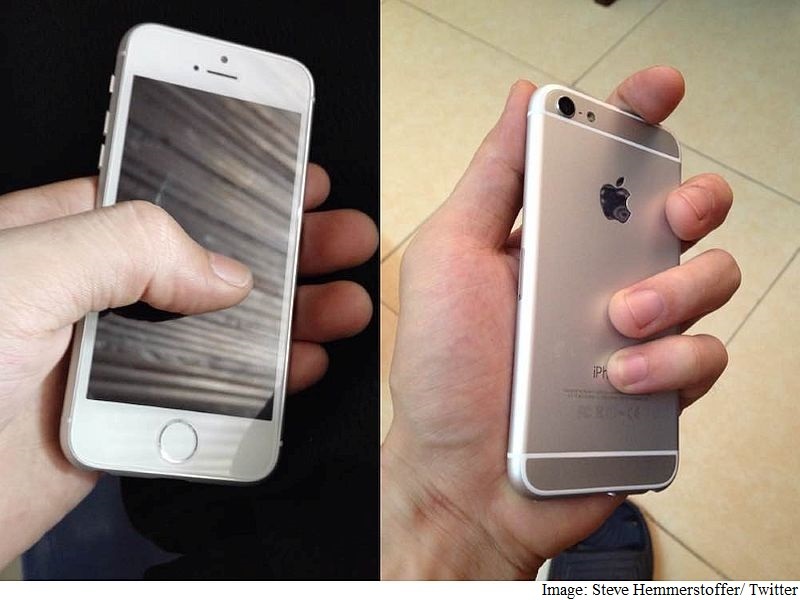 In the leaked images, the handset is seen sporting circular edges similar to the current generation iPhone models while sporting a smaller screen size. The rear panel of the iPhone 6c looks identical to the one seen on the iPhone 6. The rear camera bump is also visible in the leaked images. The front panel images purportedly show that the iPhone 6c will retain the signature iPhone design and will sport a circular home button which will most likely hold the fingerprint scanner. Apple in 2016 is said to break away from September launch cycle which saw iPhone 6 and iPhone 6 Plus launch in 2014, and iPhone 6s and iPhone 6s Plus launch in 2015. The Cupertino-based company is said to launch the iPhone 6c in April, which was recently corroborated with a leaked China Mobile 2016 phone roadmap. The April launch time-frame is also in line with a previous rumour that indicated a mid-2016 launch of the 4-inch iPhone. Some of the specifications tipped for the smaller iPhone 6c include a 1642mAh battery, which if comes out to be true will be bigger than the battery seen on previous 4-inch iPhone 5c. Other details rumoured for the iPhone 6c include an A9 processor, 16GB of inbuilt storage, Touch ID, and 2GB of RAM.